THE South African government put a spanner in the works today after it said its African Exploration & Mining Finance Corporation (AEMFC) was participating in a consortium that would effectively nationalise Optimum Coal Mine. The bid heaps yet more confusion on the meandering, apparently haphazard and occluded process of retrieving Optimum Coal from bankruptcy. It was thought a company known as Project Halo had submitted a successful bid for Optimum Coal Mine, and in so doing had pipped another consortium – Phakamani – to the post. The emergence of AEMFC’s consortium, however suggests the destiny of Optimum Coal Mine is far from settled. AEMFC’s CEO, Sizwe Madondo, said the “hotly contested” asset would be operated as a public private partnership (PPP). In terms of this, the mine will be owned by AEMFC and run by an established privately owned mining operator. AEMFC had the financial firepower to compete for the mine which would include submitting a R250m guarantee, it said. “Our successful bid would also ensure that through this PPP, the state not only demonstrates efficient joint custodianship of a strategic national asset, but also its investment in a proactive strategy to ensure energy security for all South Africans,” said Madondo in a statement. “We view this transaction as of national significance, and through a team of reputable and experienced sector experts who invest in rigorous due diligence processes, together, we can build South Africa’s image; whilst instilling confidence within the local and global investor community that South Africa is open for business on commercially sound terms that benefit all South Africans,” he added. 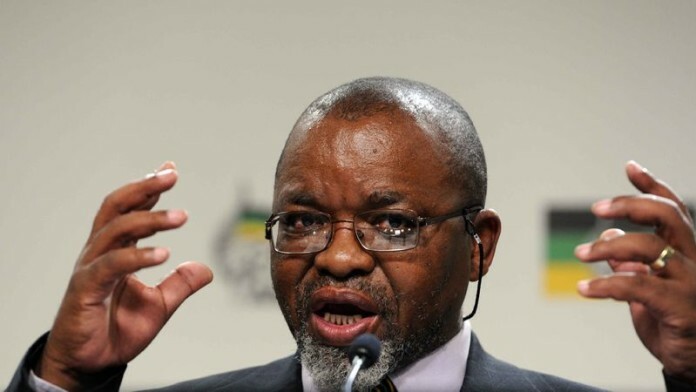 The emergence of AEMFC, which owns the Vlakfontein coal mine, bears the hallmark of mines minister, Gwede Mantashe, who previously attempted to persuade the private sector to help AEMFC take Optimum Coal Mine out of business rescue. More recently, Mantashe discussed the possibility Impala Platinum could ‘sell’ some of its unprofitable Rustenburg shafts to the AEMFC. The AEMFC has been the subject of controversy throughout much of its history. Under former president, Jacob Zuma, it was to be the vehicle for a state-owned mining champion, but its critics said it was a demonstration of how the government wanted to be both “referee (regulator) and player” in the mining sector. The AEMFC is actually, from what I have been able to glean, a well managed business with a good team of black professionals running it. It also appears to have been outside of the state capture net, with Eskom doing it no favours, favouring other connected parties instead, despite it being state owned and 100% black managed. That’s interesting (and good) to hear. Unfortunately, getting info on the entity is next to impossible but I’m hopeful this possible deal with make it a bit more vocal. Question is: who are they buying it from? Eskom paid Tegeta R1162m, and Tegeta paid R939m toward the acquisition of Optimum. Eskom paid R564m to Trillion, and Trillion contributed R235m toward the acquisition. The larger Gupta web contributed R910m, and Glencore settled the balance with R809m, for a total acquisition cost of R2084. On a cash flow-through basis it would seem that Eskom should be the owner of Optimum. In HSF & Wierzycka versus Eskom & others (Dec, 2017), the applicants argue that monies paid by Eskom to Gupta linked companies should jointly and severally be recouped on behalf of Eskom. This should be a $1 deal. That way capital can go into the mine, the resource, and providing employees with a long-term future instead of allowing the BRPs to walk with tasty commission on sale, which is the current structure as I understand it. Just a small problem. AEMFC is not BEE compliant. The State do not qualify as a BEE entity. They are not supposed to hold any rights as they are non compliant. As to the private partner in running Optimum. It can only be Seriti. Yes, I also thought Seriti. The identity will be disclosed this week I hear. As for AEMFC, that’s an interesting conundrum. So, I’m trying to get comment from Sizwe Madondo …. We’ll see what he says, if anything.